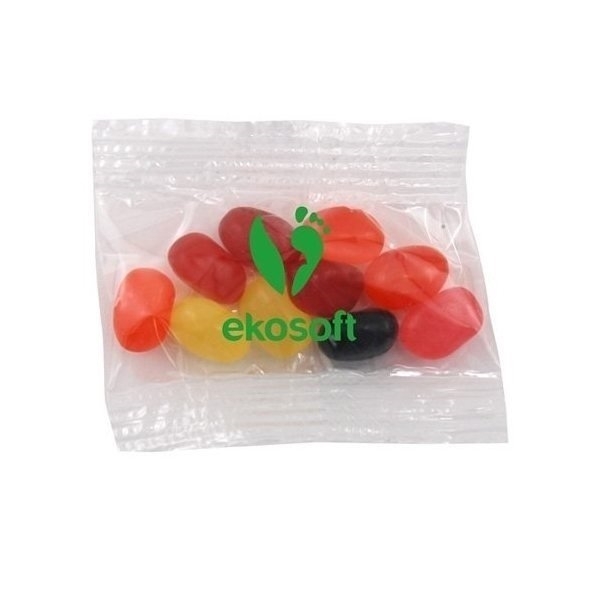 Small size bountiful bag promo pack with Jelly Beans. I haven't actually seen one of the finished product yet as I had it shipped to a store. The one I did see looked great! thank you for the wonderful customer service and quality products at a great price! Loved them! Decent size, not too large, not too small! High quality and also the prices to complement. This was a good promotional item for our event.